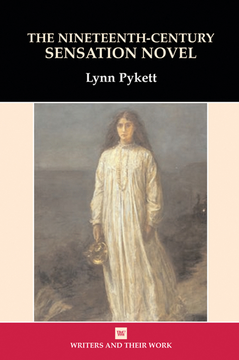 First published in 1994, Lyn Pykett’s The Sensation Novel from The Woman in Whiteto The Moonstone charted the re-emergence into critical view of the nineteenth century fictional genre which had, in its own day, enjoyed immense popular success and given rise to heated critical and moral debates. Since the mid-1990s the sensation novel has continued to attract the attention of both general readers, critics and scholars. In the last fifteen years the sensation novel has been brought to fresh audiences in numerous new editions and in new television and radio adaptations. This revised and expanded edition, retitled The Nineteenth-Century Sensation Novel, responds to these developments, taking account of recent studies of the genre, and expanding both the range of authors covered and its discussion of the authors originally included.